Organized by RIP Records and Sylphorium Records. NWN will have a merch booth set up at the gig with lots of Sabbatical merch including a gig only TS. 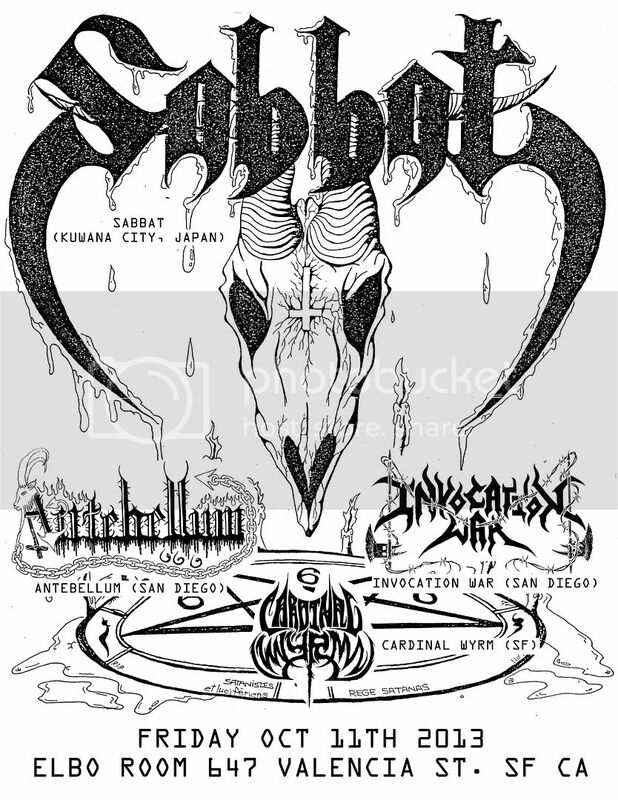 I will also have the Sabbat “Envenom” Boxset (lim to 100) available for sale at the gig. This gig exclusive boxset will contain the album on yellow vinyl with cover/insert, T Shirt based on the original Evil Records CD layout, 36″x36″ cloth tapestry, and high quality screen printed case wrapped box. Yosuke, I sent you an e-mail about how we can make this work for NYC! Was gonna call it a day with booking but it's SABBAT! LA would be great, but as long as there's one date in CA, it'll be cool. Ditto Oakland/SF. I'm obviously hoping for a local gig, but I'd have no trouble heading down south either. Sabbat will play at the Elbo Room in SF. 3dates? Please let one be NYC!!! RIP Records (chicago right?) still exists? When was their last album release? RIP records will exist as long as metal exists.